The MED-EL Surgical Video Library offers high-resolution guided surgical case studies from leading ENT surgeons. Created in cooperation with ARRI, these videos capture precise movements and detailed structures with incredible clarity. Access is free and the easy-to-use library is optimized for desktop or mobile viewing. 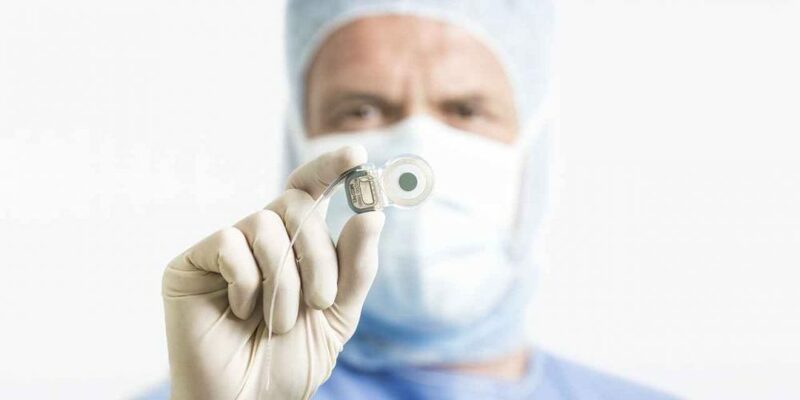 In this video, Prof. Dr. Joachim Müller demonstrates his surgical techniques for the SYNCHRONY Cochlear Implant. Prof. Dr. Müller is the Head of Cochlear Implants and Hearing Prosthetics, Department of Otorhinolaryngology, Head & Neck Surgery at the University Clinic Munich Grosshadern. For this pediatric patient, Prof. Dr. Müller utilizes the 31.5 mm MED-EL STANDARD electrode array to provide access to apical stimulation. Insertion is performed through the round window using structure preservation techniques. Additional array fixation is provided by linking the array and the bony bridge with a titanium fixation clip. Post-operative x-ray confirms array placement. Watch now: Pediatric implantation of SYNCHRONY Cochlear Implant with Standard Electrode Array. 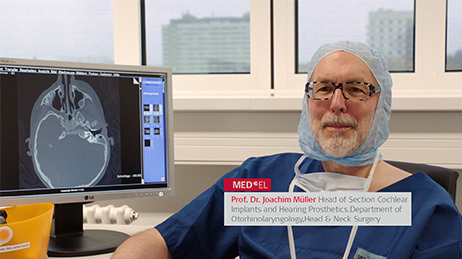 Prof. Dr. Müller is the Head of Cochlear Implants and Hearing Prosthetics, Department of Otorhinolaryngology, Head & Neck Surgery at the University Clinic Munich Grosshadern. Want more surgical case studies like this? Check out the MED-EL Surgical Video Library! Looking for more useful information on MED-EL implants? There’s a new post every week on our Professionals Blog—don’t forget to subscribe!